WARNING: THIS HAS SOME KICK! Made from fresh prime beef and soaked in our special centuries old marinade. 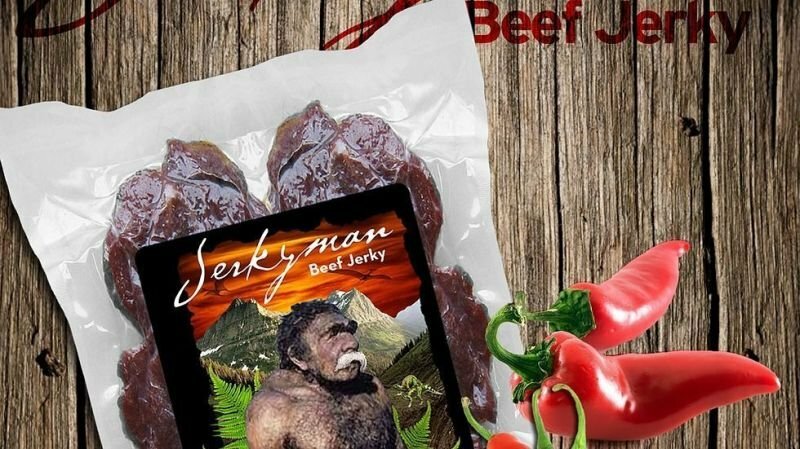 This beef jerky style is the original Jerkyman product made with a kick of heat. Have your favorite bevarage on hand and be prepared to stimulate your taste buds! Each batch of Jerkyman Beef Jerky is handcrafted, made with no preservatives or artificial ingredients. We use only the freshiest beef trimmed, gently marinated and slowly cooked to perfection. Each 10 pound section of prime beef yelds approximately 3 pounds of finished product, ensuring that only the best part is used in our premium product.